Craving pizza is almost a way of life, but these cravings aren’t always for just-made, hot, soft, yet chewy pizza. Sometimes we get cravings for cold pizza! As weird as it may sound, grabbing a slice of leftover pizza from the fridge is exactly what we need to satisfy the strongest of cravings. But what makes cold pizza so delicious and gratifying? Here are some reasons why Upper Crust Pizza thinks cold pizza is so incredibly fulfilling. While there are ways to reheat a pizza, the crust is often left out of the equation. What you often get is a crust that is more like a crouton that takes some power to bite through and you’re left with a mess of crumbs on the kitchen floor (because standing by the kitchen sink is the best place to eat cold pizza). But when eating a piece of cold pizza, the crust remains soft and you can still enjoy tearing off a piece with your teeth without being afraid of breaking anything. 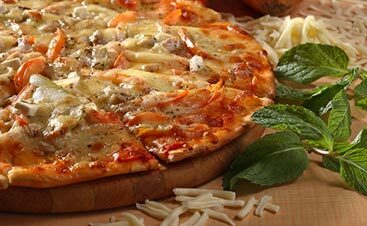 What can be slightly dangerous when eating a fresh and hot pizza, the sauce is what makes cold pizza so refreshing. When a tomato sauce has the right flavor, not too acidic, not too much tomato flavor, and the right combination of seasonings, it can bring everything together. On a hot pizza, the cheese undoubtedly binds all of the toppings together, but when the sauce cools down, the cheese and toppings are held together by the sauce, making it easy and enjoyable to eat. When you bite into a slice of hot pizza, the cheese can sometimes pull other toppings along with it, leaving you with an extra big bite and a mouthful of steaming hot sauce, cheese, and toppings. While this is an extraordinarily delicious part of eating a hot pizza, eating cold pizza is all about quick and easy eating. 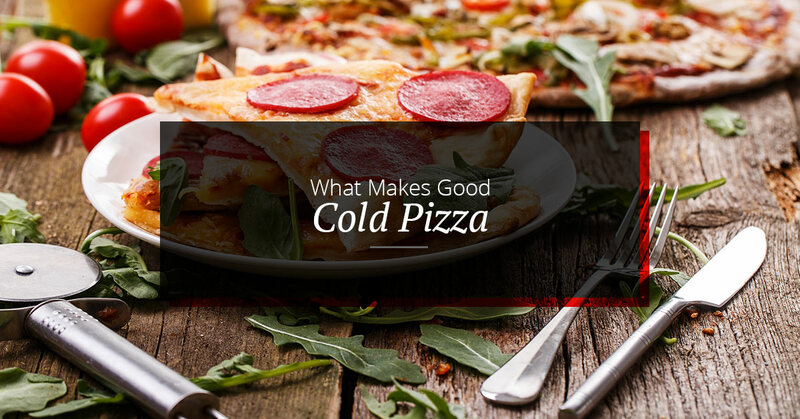 Whether you grab a slice from the fridge and hang out in the kitchen or just walk out the door in the morning, cold pizza is a very mobile friendly food. You don’t need to worry about toppings sliding around. This is another reason why cold pizza is all about convenience. If you’re ordering pizza delivery or dining in for some craft pizza, there is no avoiding a wait. 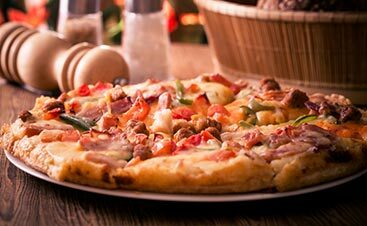 When you crave hot pizza, you may be more than willing to wait hours for that pie to arrive at your table or door, but with cold pizza, you can satisfy that craving right away. Before heading out to work in the morning or in your pajamas at night, cold pizza can, and maybe even should be eaten at unusual times of day. 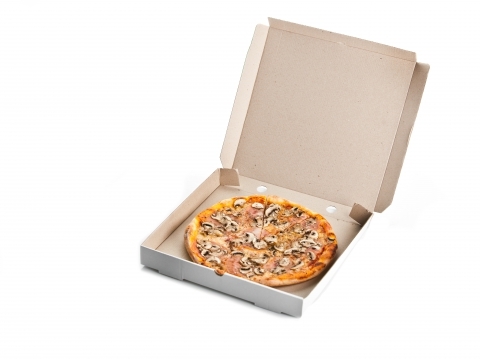 Typically hot pizza is a lunch or dinner only food, but there are no rules for eating cold pizza. With a hearty crust, soft middle, and firm sauce and cheese, whenever you have a craving, that is the perfect time to indulge. True pizza lovers know a good pizza by how it tastes when it’s cold. From the chewy crust to the always in place toppings, you can’t go wrong with this simple and ever satisfying snack. 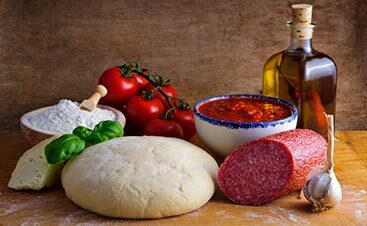 Whether your craving is for hot and fresh or cold and quick, Upper Crust Pizza’s gourmet pizza has what it takes to deliver the best pizza in Santa Fe. Call us today to try it out yourself.